The Apple Store location in Oak Brook, Ill. The controversial MMA star Conor McGregor made headlines last week when he was arrested in Miami Beach for grabbing and smashing the smartphone of a fan who was attempting to take his picture. McGregor was charged with a pair of felonies, strong arm robbery and criminal mischief. The The Daily Mail, in an interview with the brother of the alleged victim, reported that the destroyed device was an iPhone. McGregor, back in 2016, showed off a custom-made iPhone 7, with a design that matched his own tiger-face chest tattoo. Police in Wilkesboro, N.C., are investigating the theft of 22 Apple Watches, valued at $8,655, from an area WalMart. According to the Journal Patriot, a single suspect was shown on security video at 2:17 a.m. placing the watches in a book bag. Thousands of dollars in MacBooks were stolen from the Brooklyn office of the app developer Fuzz, in what police believe were multiple thefts by the same individual. According to The Greenpoint Post, the thief stole six MacBooks on his first run, and then returned two weeks later and made off with nine more MacBooks, an iPad Pro and a Pixel phone. The sheriff's office in Brevard County, Fla., is looking for a man who they say stole a 4K Apple TV device from a local Target store by hiding it in his pants. According to Space Coast Daily, police have photographs of both the man and his car. Authorities in Malta have convicted a 24-year-old Iranian immigrant for using stolen checks to purchase the equivalent of $36,000 in electronics products, including iPhones and MacBooks. According to Malta Today, he received four years in prison for the thefts. 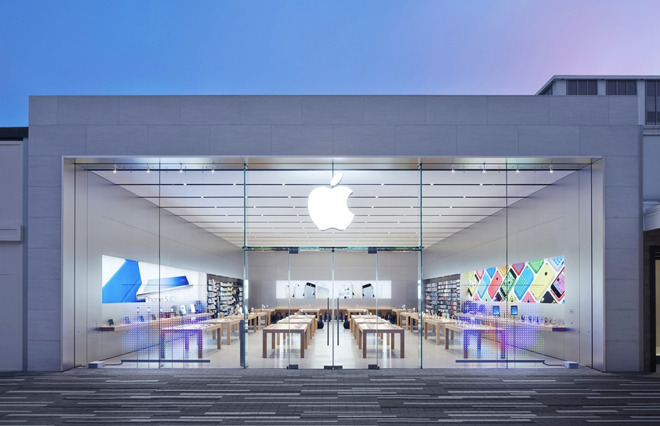 A man in Chicago was arrested for stealing $700 worth of merchandise from an area Apple Store on his 49th birthday. According to the Chicago Tribune, the man took the undisclosed items from the location in Oak Brook. A woman panhandling on the streets of Union Township, N.J., was suspected to not be what she seemed, when police noticed she was carrying both an expensive purse and an iPhone X. According to NBC Philadelphia, it turned out the woman was part of an organized ring that had been dropped off throughout New Jersey. She was issued a summons for soliciting without a permit as well as a traffic ticket. Among the more than $500,000 in merchandise stolen from the car of a rapper was an iPad, a MacBook and AirPods. According to WSB, the rapper known as Young Dolph was eating lunch at a Cracker Barrel in Georgia when his Mercedes-Benz SUV was broken into. In addition to the Apple products, the stolen items included a $230,000 watch, expensive gold chains and sunglasses, a Glock firearm, and a $300 backpack. A Rhode Island man who is married to a state representative in that state has been arrested for stealing and using credit cards. According to the Associated Press, Henry Fellela Jr. is accused of stealing credit cards from the mail and using them to buy such items as an iPad, a Microsoft Surface, and a toaster. Fellela, who is charged with identify theft and fraud, previously did four years in federal prison, also for using stolen credit cards. A man was arrested this week for stealing three pairs of headphones from the Apple Store in Trumbull, Conn., last August. The man, according to Patch, was arrested after a security officer recognized him from "from New Jersey shoplifting cases." I also loved it when they discovered she had an iPhone X. Cherry on top. Perfect. If I’m driving around with half a million in merch in my car, I’m probably not eating at Cracker Barrel. I love CrackerBarrel! Just because you're rich doesn't mean you can't eat at places like that. I'm with you. Eat where you like. However if you're carrying around pricey bling and a firearm, some place with a drive-thru would have been more prudent. And a Benz SUV? How cliché. Organized panhandling is a problem around here too. While it's possible it involves some degree of human trafficking, it's mainly family and extended members. Where it's not family members, the panhandlers are more afraid of who they answer to than any police investigation. Cooperation is almost always non-existent. I don't imagine the Union Township police fair much better. Good luck collecting on that ticket/summons. You can only do what you can do. Almost forgot— I hope McGregor gets convicted on the robbery charge, at least. A criminal mischief conviction would be icing, but there should be a robbery conviction minimum, based on the AI article. It's hard to conceive a self-defense scenario, as yet. Good on MBPD. This is very good for Apple, shows how popular it products are. Bet iPhones thefts are 5-1 vs a Samsung phone. Congrats Tim (Apple). If McGregor does get convicted on the two felony charges, it's going to be interesting to see how that affects his immigration status fighting in the U.S. From what I've read, he would be criminally inadmissible. Of course there is always discretion involved so I doubt he would be kept from fighting here with so much money at stake. There are lot of rich people who have no taste whatsoever and still eat garbage.